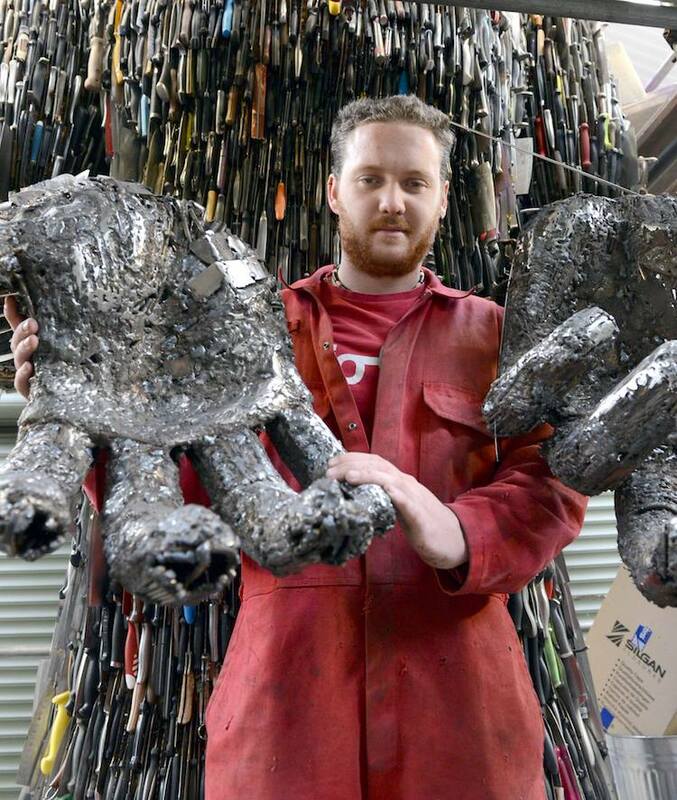 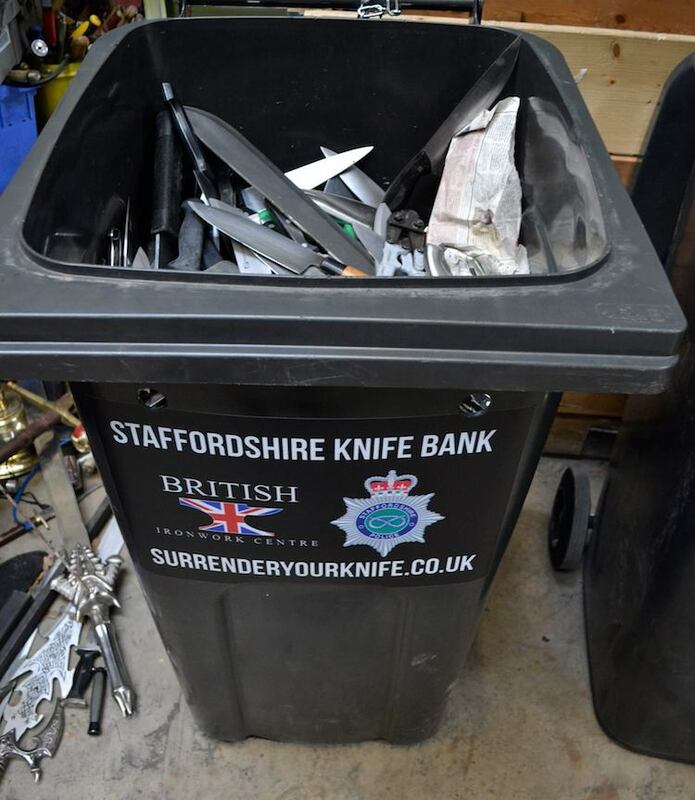 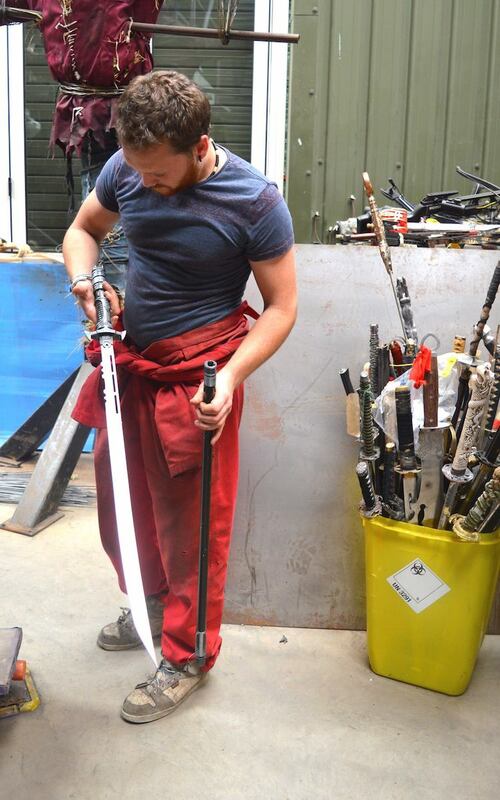 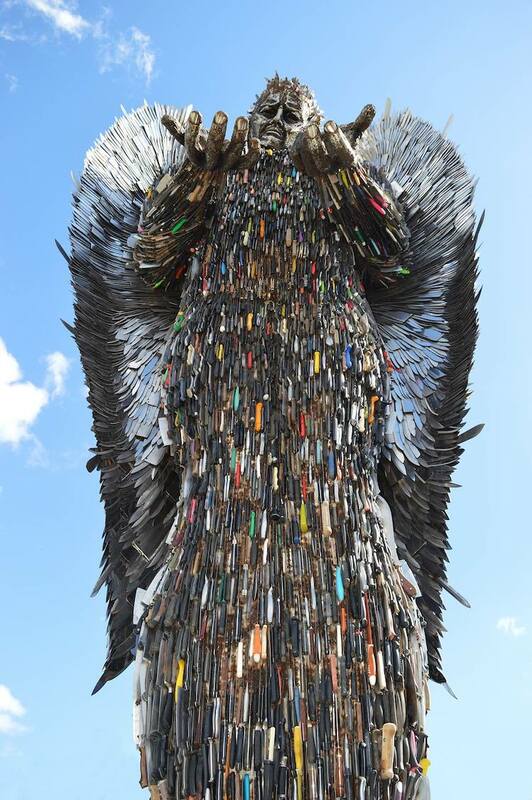 The knives were then sent to Bradley in tubes, and he went through the arduous task of cleaning the knives, dulling the blades, and sorting each weapon by size and color to make the task of forming the sculpture easier. 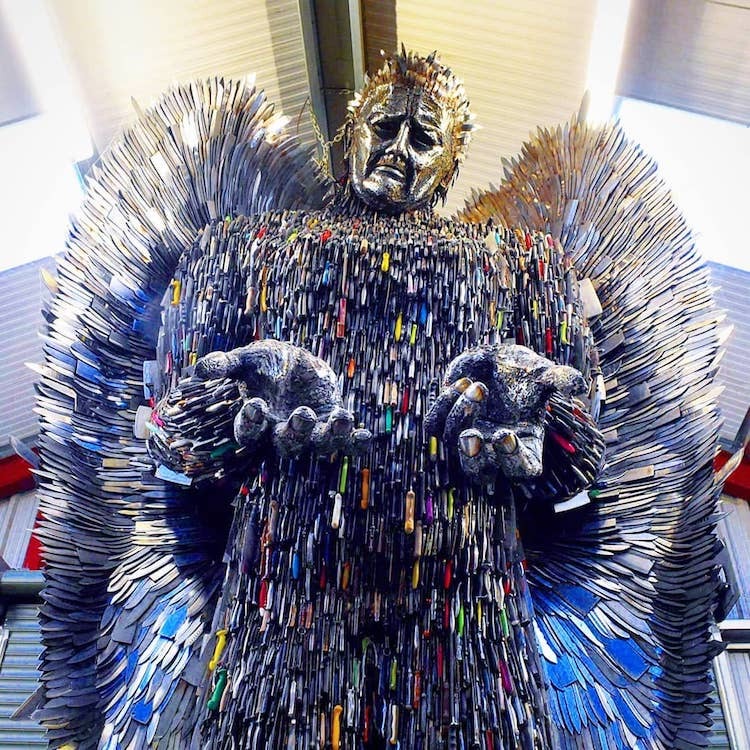 While this proved the biggest technical hurdle, it was the emotional challenge that took the biggest toll. 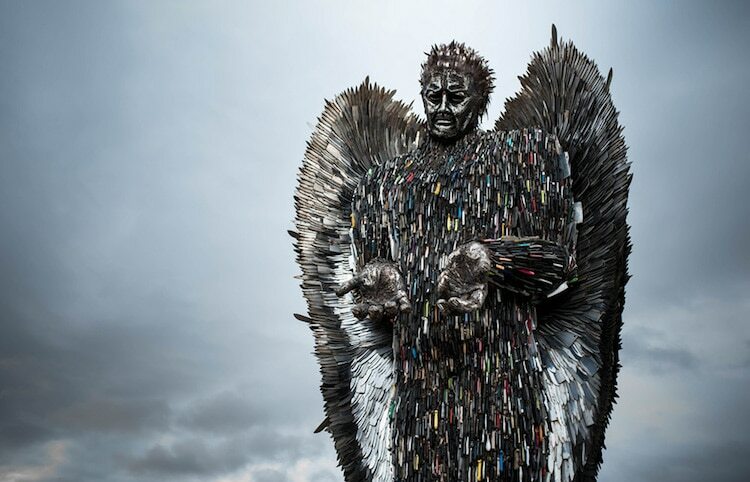 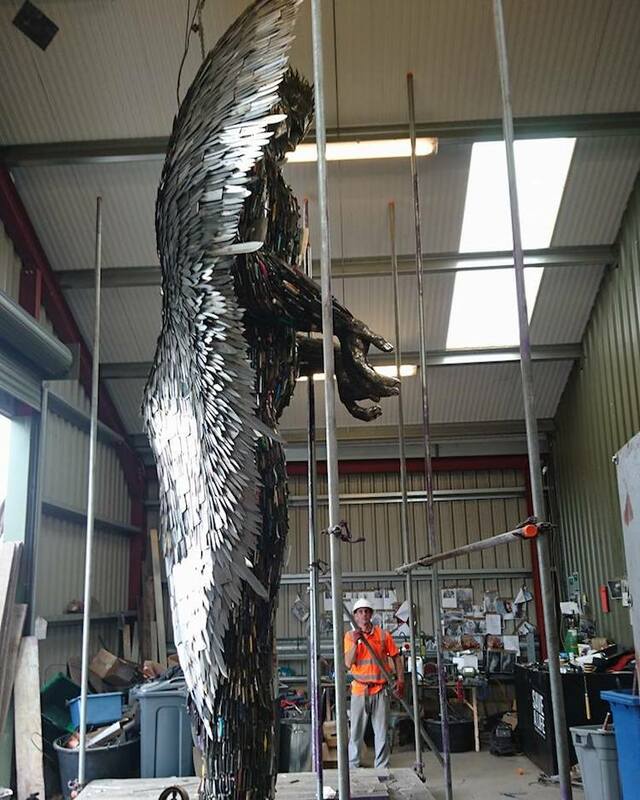 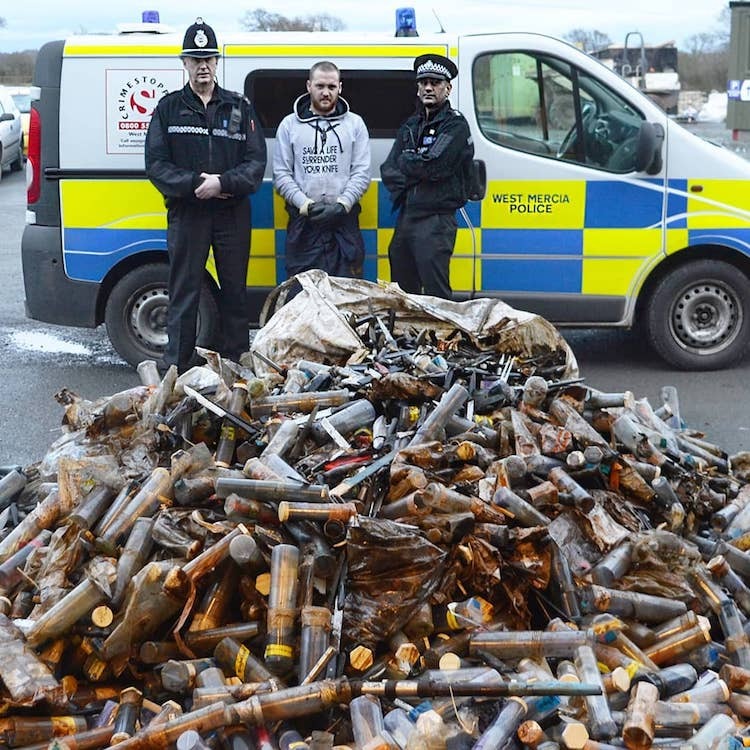 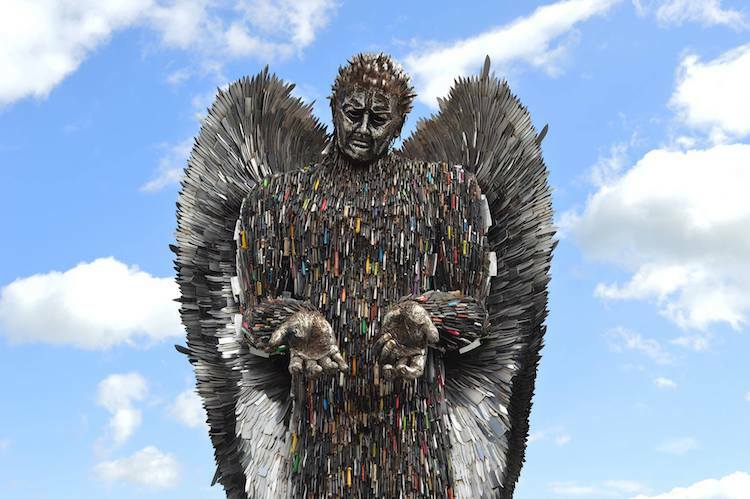 “The hardest part of creating the Knife Angel was meeting and hand engraving personal messages on each feather on the back of the angel's wings from affected people and families, and seeing them become overwhelmed with emotion once seeing the angel,” Bradley tells My Modern Met.